Beryls come in different colors. Most valuable beryls and some of the world’s most valuable gemstones are high-quality, deep-green emeralds, but similarly gorgeous are golden heliodors, red beryls from Utah, pink morganites and other varieties. But aquamarine of diverse hues is the most beloved beryl after emeralds. Aquamarine is light blue beryl of diverse shades – for example, there are found marvelous blue-green or noble grey-blue, incredibly transparent stones. Pegmatite dikes in Minas Gerais provide some of the world’s best beryls, especially aquamarines. People here have found gorgeous gems while digging wells, making roads or digging the house foundations. Around 1917 there was reported an unusual find: beryls in a deep blue color, similar to the color of the best sapphires. This discovery was made in a single locality of Minas Gerais state – Maxixe Mine, in alluvial gravel deposits, together with fine, pink tourmalines. These stones became an international sensation overnight. Shipments of these wonderful stones went to jewelers of diverse countries and production of new, unusual jewelry started. The blue color is caused by chromophore centers in the crystalline structure, caused by small amounts of anions, e.g. carbonate ions. Researchers at first noticed unusual pleochroism of these crystals. 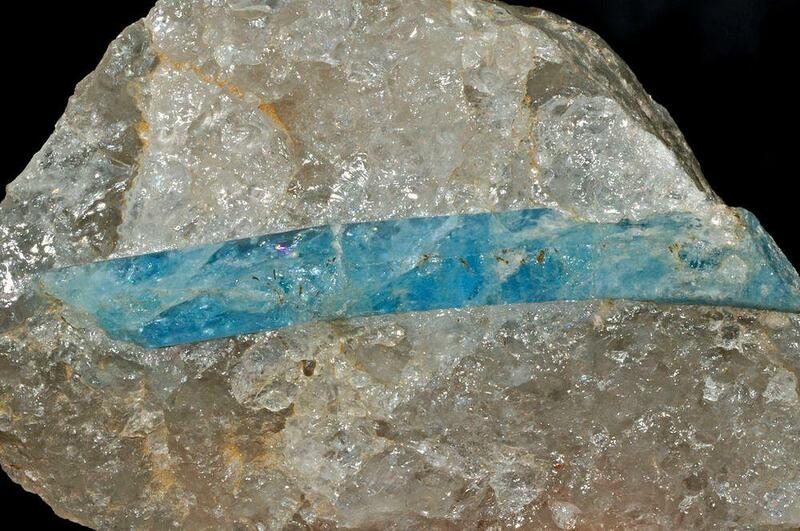 In one direction these crystals were deep blue, but as the stone was turned, it became nearly colorless. But much worse news came soon after: one after another these beryls lost their beautiful color and turned into rather common, slightly yellowish, transparent stones. It turned out that the color of Maxixe beryls is lost after a few days under direct sunlight or if heated. As a result, the demand for these stones dropped and jewelers had a painful loss. Maxixe Mine was abandoned. It is even hard to find proper images of these beryls but stones from Maxixe Mine seem to be lost. Occasional discoveries of similar blue beryls were made in some more places around Brazil and then also – in some more countries of the world. But these stones were not any different – their blue color did not hold. New maxixe beryls in larger amount appeared on market much later, around 1973. Closer research showed that at least part of these stones was colored artificially, by radiation. There was the usual story – these stones also discolored under the heat or sunlight – but one could irradiate them and make blue again. 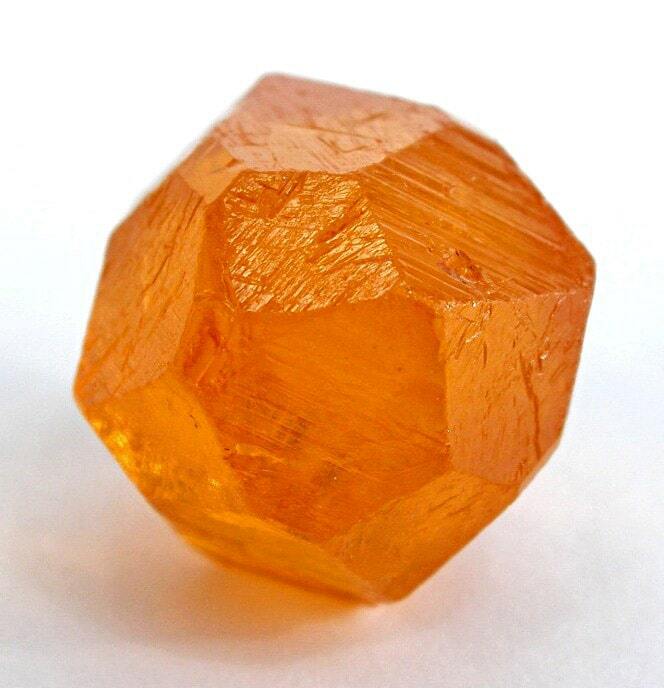 Currently, there are sold maxixe crystals of diverse quality from several locations around the world: Nigeria (Jos Plateau), Nepal, Madagascar, Sri Lanka, and others. Similar stones have been reported also in Canada (Yukon). Blue Beryl (Maxixe). Mindat.org, March 2006. Page accessed on 13 April 2019. Ilaria Adamo, Alessandro Pavese, Loredana Prosperi, Valeria Diella, David Ajò, G. Diego Gatta, and Christopher P. Smith. Aquamarine, Maxixe-type Beryl, and Hydrothermal Synthetic Blue Beryl: Analysis and Identification. Gems & Gemology, Fall 2008. Page accessed on 15 April 2019. Edna B. Anthony, Aquamarine: A Cyclosilicate. Page accessed on 15 April 2019. 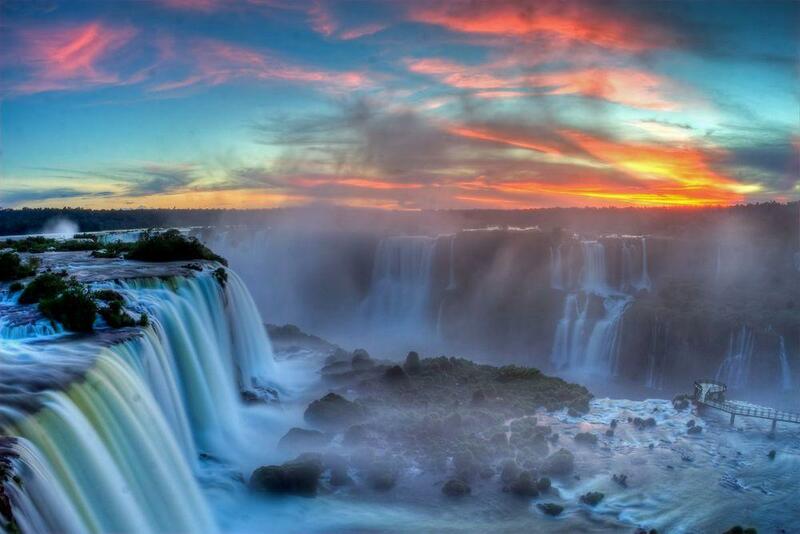 Brazil is an enormous, diverse country with many amazing and unique attractions. Especially impressive are the diverse natural landmarks – many surprising geological monuments and areas with unique and endemic plants and animals. Few know it outside the country – but there are many beautiful historical cities. Many beautiful monuments of architecture have been created in Brazil in the 20th century. Emerald and aquamarine have been known and cherished since Antiquity, but it is only in the last few centuries that science has realized that these two coveted gems are actually different varieties of the same mineral — Beryl. Number 7 in the popular extraLapis English mineralogy monograph series, “Beryl: And Its Color Varieties” surveys the mineralogy and localities of this popular gemstone.